An easy and fairly scenic Jeep trail. 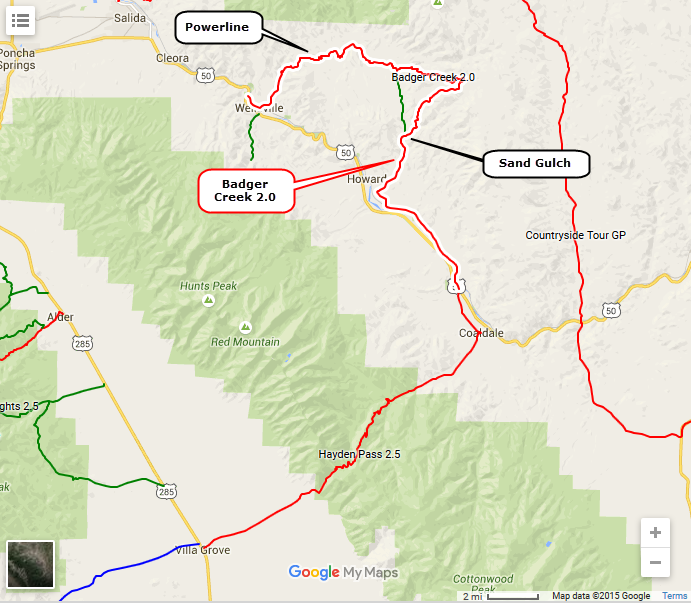 Badger Creek has nothing above timberline, but is a nice drive along Sand Gulch, with lots of open views along the north segment that follows the powerline. 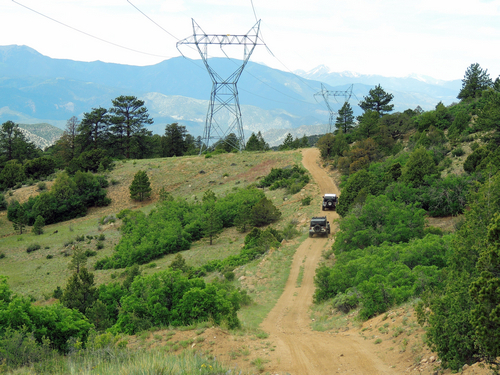 You cross under powerlines many times as the trail roughly follows them. There are a few rocks embedded in the trail in places, but nothing is large. Not a “Jeeping” trail, but an enjoyable drive as long as you know what to expect. We like to run this in conjunction with Hayden Pass 2.5.